Welcome to the Brazilian Chakras Reflexology© Website. Here you will find information about massage, chakras, reflexology, chakras foot reflexology, and much more. The word massage comes from the Greek root “masso”- to touch. Massage is one of the most natural, relaxing and beneficial arts of healing for the body. There are approximately one to two hundred thousand nerve endings in the feet that directly correspond to systems (organs, and glands, for example). Reflexology is a method of using direct pressure and circular movement with the finger or thumb to stimulate reflex points located in the feet, hands, and ears. This bioenergetic massage can be of use to boost the client’s systems and increase the healing process. Therefore, an unblocked, natural flow of energy results in an improvement of health and well-being. 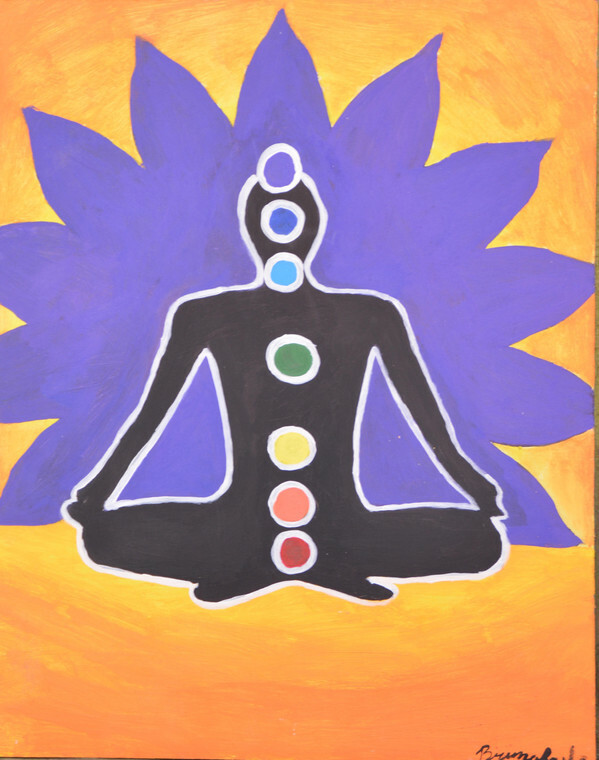 The word “chakra” is from a Sanskrit word meaning “wheel of light.” There are seven major chakras located at the midline, an imaginary line that divides the body into right and left, and hundreds of minor chakras located all over the body. Chakras are subtle energy centers that emanate a luminous light, which makes up the aura surrounding the body. This subtle energy, spinning in and out of the chakras, is constant, and it is believed to stop spinning only at death. Practitioners may be able to see, feel, and measure the frequency of the chakras by second sight, the laying on of hands, and even the use of a pendulum or other resources. What is Brazilian Chakras Reflexology©? Brazilian Chakras Reflexology is a holistic technique that combines reflexology and chakras knowledge. This type of bioenergetic foot massage focuses on direct pressure and circular movement with the finger and thumb to the reflex points, a total fifty-five reflex points on the feet. This bioenergetic massage works on the seven major chakras, following the natural flow of energy; it begins from the first chakra and ends with the seventh chakra. How does the energy flow up the chakras? The source of the energy is absorbed into the human body through the first chakra. This energy flows from the first chakras, end and out of each of the six chakras, until it leaves the top of the head, like a fountain. Rosalyn L. Bruyere, in her book Wheels of Light, explains, “When energy enters the body through the feet and moves up to the first chakra, it does so by moving from the thighs in the direction of the tailbone, which spins the energy down and forwards at an angle. So, the first chakra does not really face forward.” The natural energy pattern is to move upward in a continuous flow, in and out of the spine, and out through the top of the head. So the energy, whose source comes from the earth’s magnetic field or from another philosophical point of view, some would say the universe, enters the human body through the feet. This is why working with the feet is so important. Chakras are interdependent with the body’s neurological and physiological systems and this impacts a person psychologically. What Are the Benefits of Brazilian Chakras Reflexology? What are the benefits of a therapeutic massage to the client? Where did Janete Barringer graduate from? SUNDAY & MONDAY - From 9:00 a.m.-6:00 p.m. 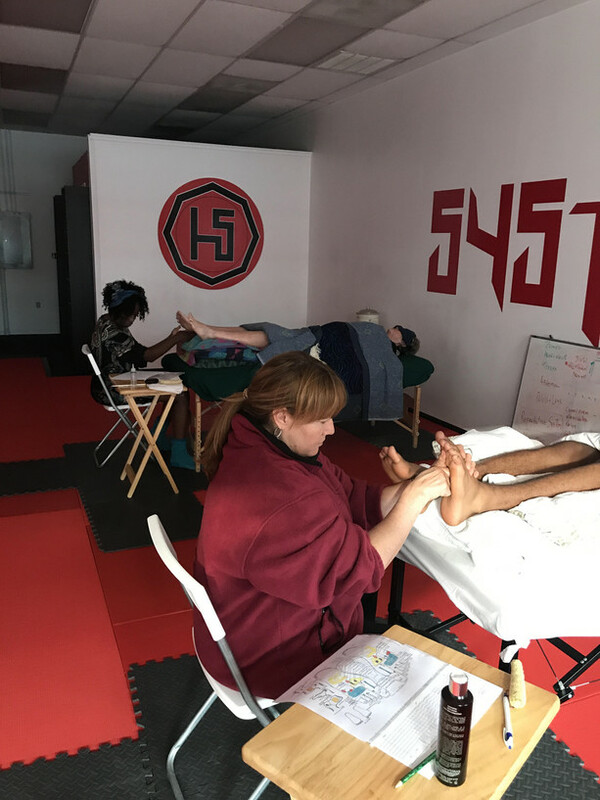 The purpose of this course is to teach the principles and technique of Brazilian Chakras Reflexology for the students as well as self-care techniques to guide them thought therapeutic knowledge. The students will be able to identify energy blockages and promote the natural flow of energy through chakras channels. Moreover, with the practical learnings, the students will learn how to identify the reflex points correlated to the major chakras. The course is divided into four sections. Section one contains subjects of history, anatomy, ergonomics, landmark, and kinesiology. Section two points out the logical fundaments of reflex points and cocoon draping. Section three is focused on practicing the Brazilian Chakras Reflexology technique. 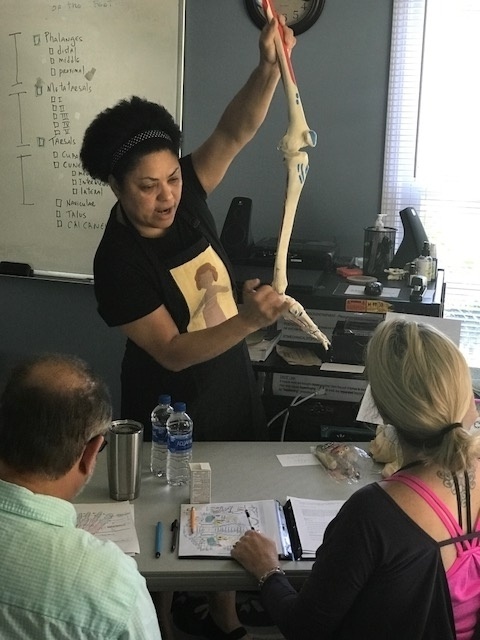 Section four discusses the customized BCR treatment, ethics, and profession, and perform the luxurious spa foot treatment. 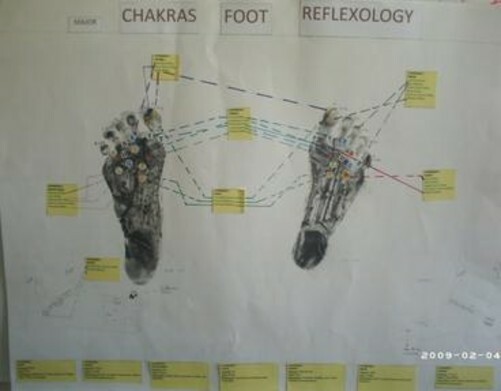 Photo of Original Draft of the Chakras Foot Reflexology© Developed by Janete Barringer in 2009. 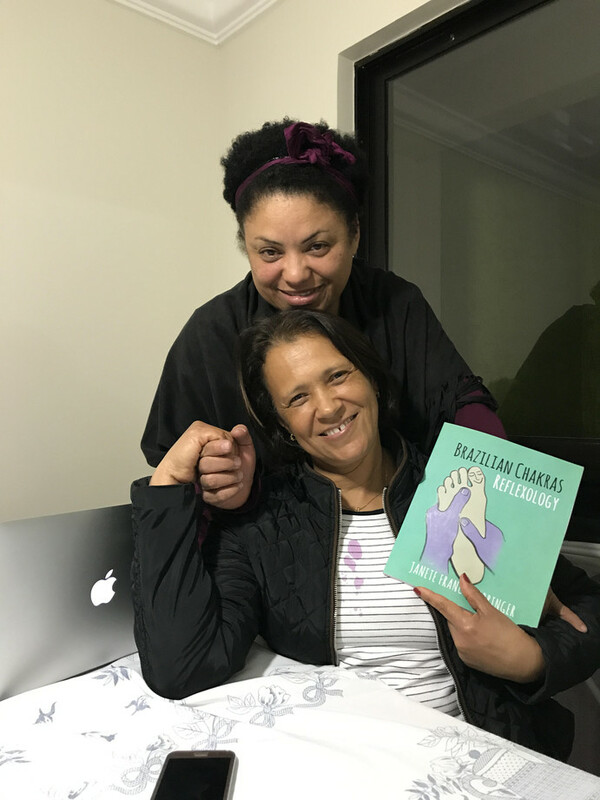 In 2016-2017, Janete Barringer and her friend Vickie Torrey, an oncology massage instructor, were in Brazil teaching massages at a college named Faculdade Espirita. Janete taught "Brazilian Chakras Reflexology," a massage technique that she developed in 2009. This innovated and unique holistic massage had qualified her to run as a contestant for the World's Best Massage Therapist voted by the World Massage Therapists Association. 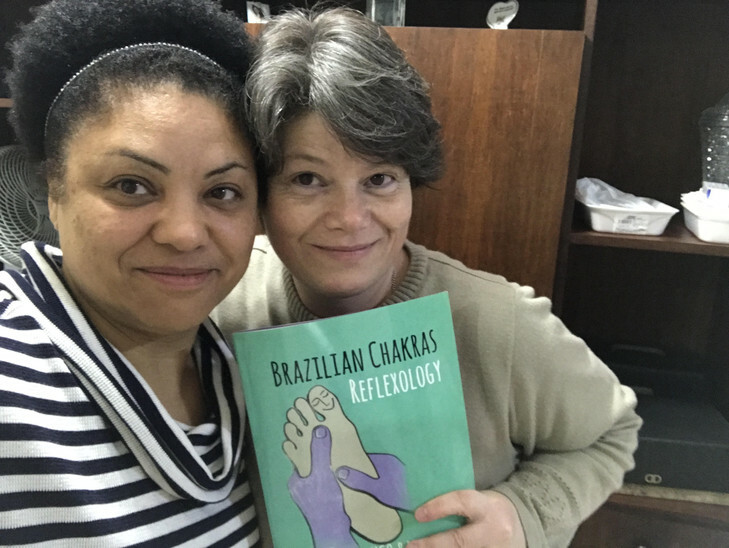 In 2017, Janete started teaching Brazilian Chakras Reflexology technique in the United States. Awesome book of knowledge geared to help individuals/professionals to discover chakras and reflexology combined. 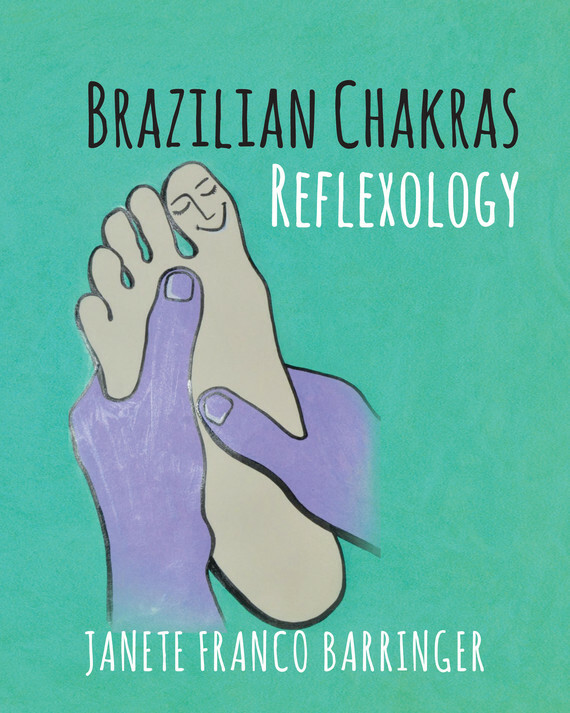 Brazilian Chakras Reflexology designed by a phenomenal practitioner, has simple clear and informative illustrations and provides awareness for integrative lifestyle. Enlighting and easy to follow. This book will help any therapist provide their client an enriched massage experience. This is a must read for any professional therapist, and a true gift from this talented author. 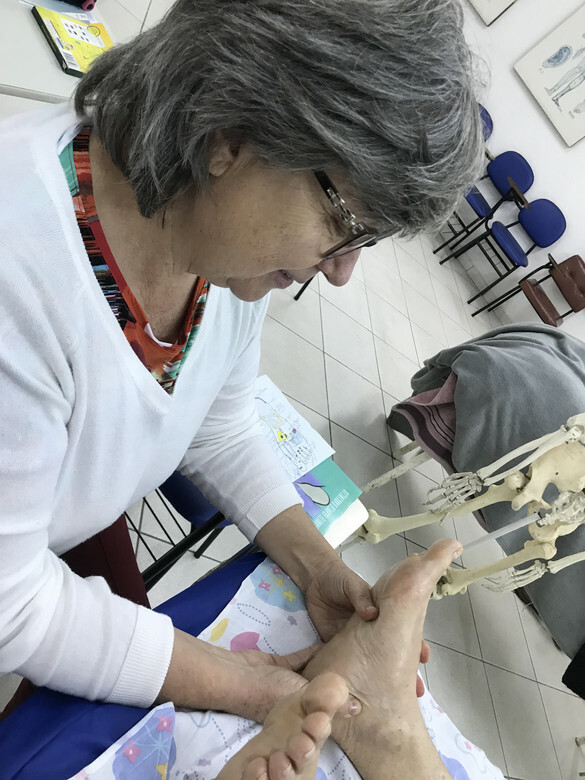 Alzira was learning BCR by instructor Janete Barringer at the Faculdade Espirita in Brazil. Oty and Vickie were learning BCR by instructor Janete Barringer in the United States. The Brazilian Chakras Reflexology book is dedicated to stunning women. Spread out JOY through Brazilian Chakras Reflexology. 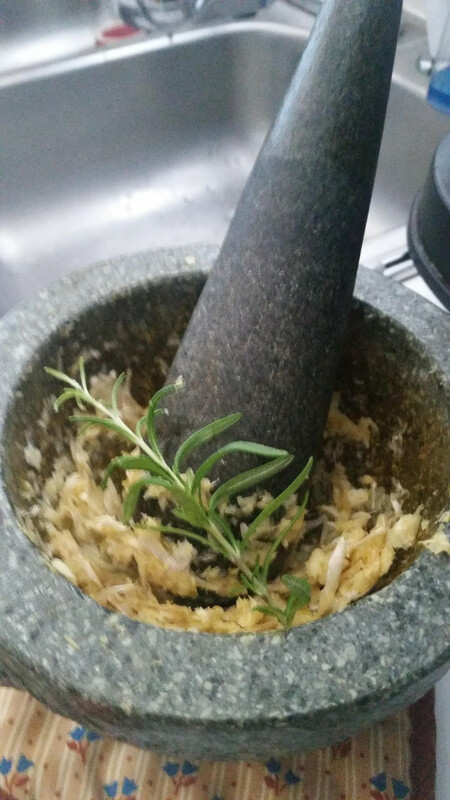 "A bioenergetic therapeutic massage with a Brazilian healing touch for health." * Brazilian Chakras Reflexology© service. Sorry. At this time, Janete Barringer, is not accepting new clients. Important - For Brazilian Chakras Reflexology© session, the client should wear loose comfortable clothes and underwear with natural fibers that do not interfere with the aura. Example: silk, cotton or wool. Please, bring one pair of clean socks 100% cotton. Thank you.